One of the very few subjects that I enjoy more than hormones is regressing arterial plaque. So imagine how excited I got when I found a study that combined both subjects. A 2006 study in the Journal of Clinical Endocrinology looked at a variety of hormones and lifestyle factors, such as testosterone, estradiol, SHBG, BMI, waist-to-hip ratio, blood pressure and lipids in relation to arterial plaque in men. And they did not just study association but rather causation. By that I mean that they measured the above hormonal and lifestyle factors and then watched the participants for three years afterward with the goal of finding which were most predictive of developing arterial plaque. And the results were very interesting on many fronts. NOTE: Arterial plaque was measured using an ultrasound IMT (intima medial thickness) of the carotid (neck) artery. This is one the two common ways to check for plaque, the other being a Heart Scan (Calcium Score), the latter being something I discuss in my page called Heart Scan Results. An IMT has no radiation and, as of this writing, can be done without a doctor's orders in almost all states through Lifeline for $70. 1. The only hormone that predicted an increase in arterial plaque was estradiol (both total and free). "Our findings of a positive association between serum E2 levels and intima-media thickening supports the notion that estrogens, besides possibly increasing the risk for thrombosis and thereby cardiovascular events, also have an important impact on atherogenesis in men. In the present study, we found a positive association between free E2 and the annual increase in intima-media thickness at higher, but not lower, free E2 levels. This might suggest that high doses of E2 (and possibly other estrogens) should be avoided in clinical trials. Indeed, high-dose parenteral administration of a slow-release preparation of E2 was recently shown to increase the risk of nonfatal ischemic heart disease events in men." a) Higher estradiol levels increase clotting and, of course, clotting is involved in stroke and heart attacks. In fact, a heart attack is called a coronary thrombosis, a "local coagulation or clotting." What this means is that researchers now have evidence of and biological plausability (cause-and-effect) for, a link between higher estradiol levels and arterial calcification. One key point in my mind is that this study seem to argue for an emphasis on weight loss and reasonable dosages of testosterone for men on HRT, Clomid, HCG Monotherapy or any therapy that increases testosterone levels in order to lower estradiol levels. Some physicians now - and I have seen this on the Peak Testosterone Forum - believe that there is no practical upper limit to estradiol for men on HRT. They will double or triple a man's testosterone levels and, therefore, roughly double or triple their estradiol levels at the same time. And, as this study shows, boosting those estradiol levels could actually carry a long term risk. Furthermore, testosterone did not show an ability to improve IMT in this study, so one cannot count on it to protect one's arteries from the buildup of plaque. Testosterone does some remarkable things for cardiovascular health, such as decrease hardening of the arteries, lower insulin levels, help prevent prediabetes and diabetes, decrease body fat (a little), help improve libido/erectile strength and lower key inflammatory markers. Put all of these together and I would think that you should generally improve plaque levels. However, according to this study, testosterone was neutral and estradiol must be monitored independently. So how do you manage estradiol? Well, one way HRT clinics and anti-aging physicians do it is with Arimidex (anastrozole). 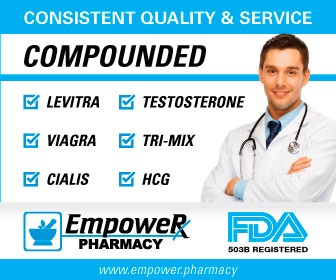 Arimidex is an aromatase inhibitor and will drop your estradiol levels nicely. The problem with Arimidex is that it can negatively impact the clotting cascade, and, therefore, may only improve half of the equation. Now the rebuttal is that the amount of Arimidex usually given to men on HRT is usually quite low. I was on Arimidex briefly and was given initially 0.5 mg twice per week. That is a very small amount and I don't believe there is any evidence that clotting has been an issue with doctors that use it. You'll have to discuss risks with your doctors or PA as there are no studies. a) Lower the testosterone dose as much as possible. This will, in turn, lower estradiol levels. b) Drop your body fat into the 10-12% range. (This is easy using Clarence Bass' approach documented in his book Challenge Yourself. c) If you are injecting testosterone cypionate or enanthate, go to two or more times weekly (which usually will mean subQ). This is the approach I took and I got completely off of Arimidex. My last estradiol read was 27 pg/ml, which is a Youthful and Natural Level of Estradiol. 1) J Clin Endocrinol Metab, 2006 Nov ,91(11):4433-7, "Circulating estradiol is an independent predictor of progression of carotid artery intima-media thickness in middle-aged men." 2) J Mol Med (Berl), 2002 Mar, 80(3):176-80, "Coronary artery wall atherosclerosis in relation to the estrogen receptor 1 gene polymorphism: an autopsy study"